Greece is perfect for exploring on foot or by bike and our self guided walking and cycling tours in Greece showcase the very best of the country. 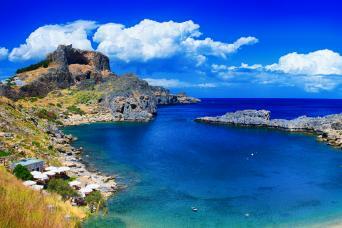 The Cyclades is a group of around 220 islands scattered in the Aegean Sea to the South East of the Greek mainland. Rugged sun kissed pieces of earth scattered in the turquoise waters of the Aegean. 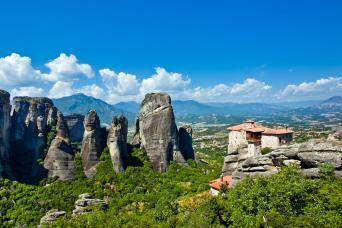 Sandy beaches, dramatic cliffs, scented olive groves and bright white villages. 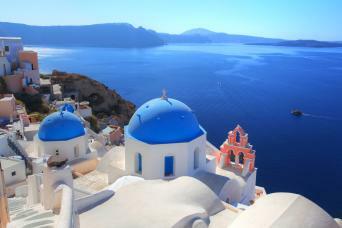 From island hopping on Santorini to Naxos, to Corfu and Paxos, the Cyclades are the Greek Islands of your dreams. 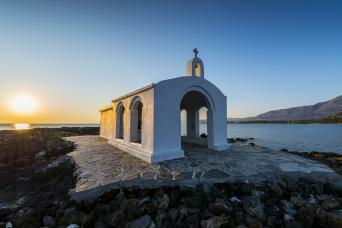 Discover a diversity of unspoilt landscapes as you walk from the north to the south coast on the Greek island of Crete. Island hop between two of the most beautiful Greek Islands, Naxos and Santorini and discover the best of these island paradises on foot. 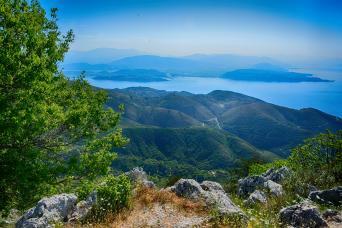 Explore the walking paradise of the Pelion Peninsula in mainland Greece, named the “Land of the Centaurs”, due to its associations with Greek mythology. 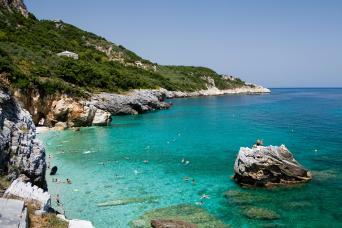 Enjoy an island hopping adventure in the Ionian Sea. Walk the quiet trails of rural Corfu, explore the tranquil island idyll of Paxos and wander the narrow streets of Corfu town. Discover the rocky pinnacles and cliff-top monasteries of the Meteora and the spell-binding mountain landscapes of the Pindos National Park.